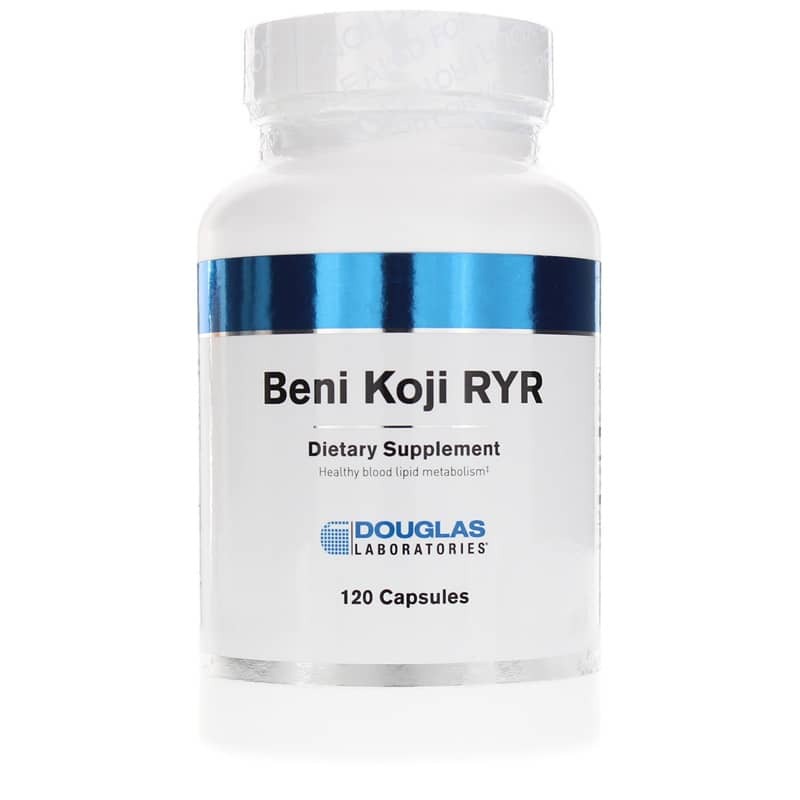 Beni Koji Red Rice Yeast from Douglas Laboratories is a dietary supplement that contains a plant based ingredient known to help support lipid levels. Red Yeast Rice, Monascus purpureus, has been used as a supplement in Asia for more than 1,000 years. Traditionally used for supporting lipid levels, it may also support proper digestion, blood circulation, and spleen and stomach health. Red yeast contains ten mevinic acids, also known as monacolins. 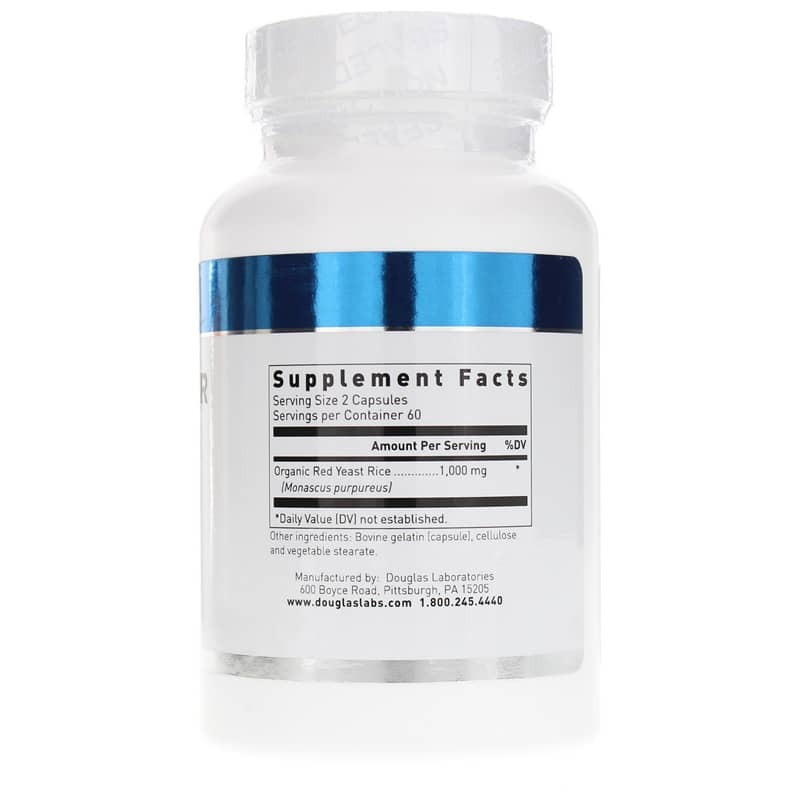 Red yeast also contains sterols, including beta-sitosterol, campesterol, stigmasterol, and sapogenin; isoflavones and isoflavone glycosides; and monounsaturated fatty acids. Other Ingredients: bovine gelatin (capsule), cellulose and vegetable stearate. Adults: As a dietary supplement, adults take two capsules twice daily with food or as directed by your health care professional. Not to be taken by pregnant or lactating woman. 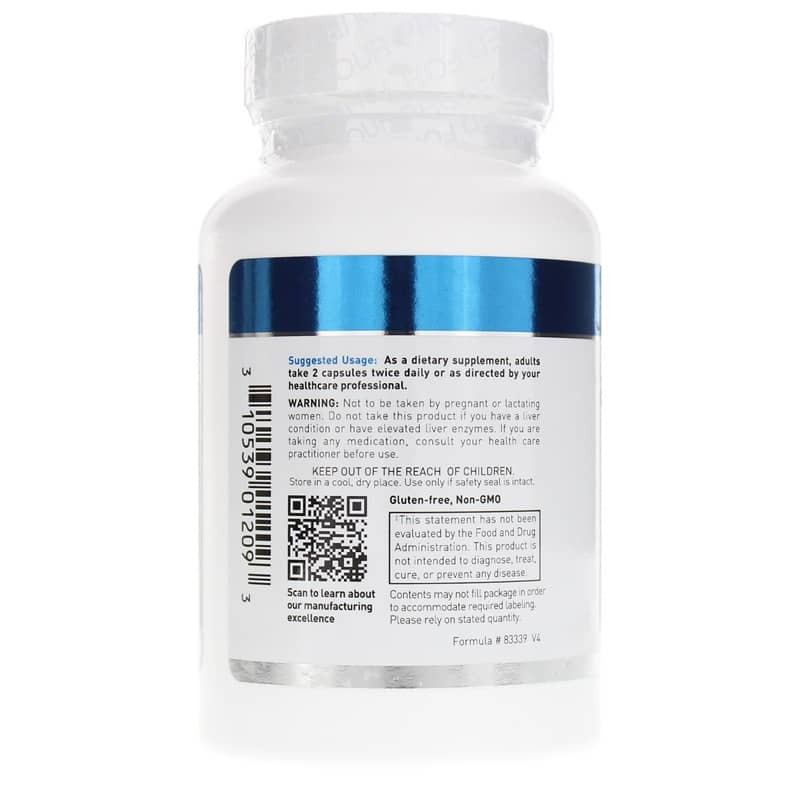 Do not take this product if you have a liver condition or elevated liver enzymes. If you are taking medication, consult your healthcare professional before use. Keep out of the reach of children.